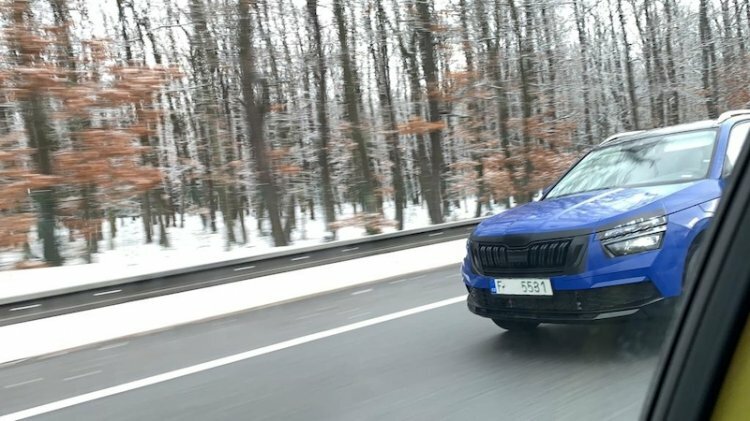 The EU-spec Skoda Kamiq was recently spied testing almost completely undisguised in Czech Republic. The new sub-compact SUV will have its world premiere at the 2019 Geneva Motor Show. While we have seen the rear-end and the profile of the Skoda Kamiq in a previous sighting before, this is the first look at the front-end. The design is very close to that of the concept it has evolved from - the Skoda Vision X. The brand-typical grille with double vertical slats is flanked by split headlights designed in a way that they stress the robust nature of the SUV. The upper lighting units feature daytime running lights and indicators that are likely to have a sweeping effect, and below them, are the main lights with the dipped and high beam. The wide lower air intake with a honeycomb structure in the sharp bumper is a signature Skoda design cue. The EU-spec Skoda Kamiq is likely to influence the design of the made-for-India Skoda premium B-SUV, which ride on the MQB A0 IN platform instead of the MQB A0 platform. The Indian-spec version will look more masculine in order to give the impression of a proper SUV. In addition to stronger proportions, it will have higher ground clearance. It may end up having a slightly bigger body, as is the case with the Indianised Nissan Kicks. The EU-spec Skoda Kamiq has a wheelbase of 2,651 mm, 2 mm longer than the Skoda Scala, but its rear kneeroom is the same (73 mm). There’s 400 litres of luggage space in the boot, expandable to 1,395 litres on folding down the rear seat backrests. The interior design is the same as that of the Skoda Scala, and the same is expected in case of the engine options. The EU-spec Skoda Kamiq, like the Skoda Scala, sits on the MQB A0 platform, but it has a 2 mm longer wheelbase of 2,651 mm. The Skoda Kamiq should come in only front-wheel drive configurations, with 95 PS 1.0L TSI petrol, 115 PS 1.0L TSI petrol, 150 PS 1.0L TSI petrol, 115 PS 1.6L TDI diesel and 90 PS 1.0L G-TEC petrol-CNG engines. Transmission choices may include 5-speed manual, 6-speed manual and 7-speed DSG.